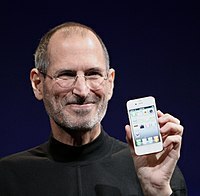 Woke up today to news that Steve Jobs has stepped down as Apple’s CEO. Damn. I will put him squarely as the one person whom I’d like to emulate in my career. I would like to be able to turn out life changing technologies that will make this world a better place to live in. I wish him the best and good health. While I will probably never touch his scale, I hope to at least be able to reach his level in every other measure. I hope that I will be able to build Aeste into a company that is at least, worthwhile having around, nurturing highly talented people to their finest.